A criminal record can create difficulties for you later in life, whether you were arrested, convicted, or both. For example, many employers check for criminal records, and even though your record may show a dismissal, employers will sometimes be able to see that you were charged with a crime. In the highly competitive job market, this can make you the less desirable candidate between you and an otherwise equally qualified applicant. 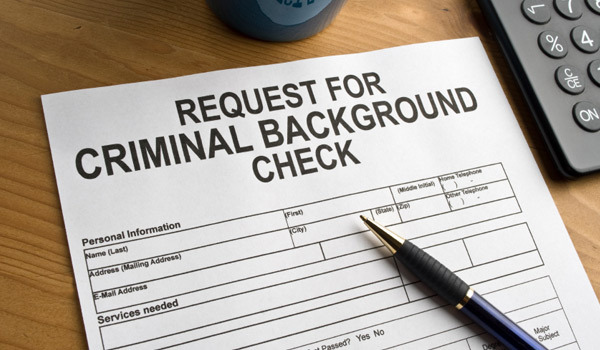 School applications can be hampered by a criminal record, and professional licensing requirements often disqualify certain applicants due to their record. Housing applications can be denied due to a criminal record, even when the convictions occurred many years ago or when you were very young. The good news is that, in some cases, you may be able to get an arrest or conviction expunged from your record. Read on to learn more about the expungement process. For many years, the conventional wisdom in North Carolina was that a person could only get one expungement in their lifetime. This was, true, for the most part, until the Legislature re-wrote and added to some of the laws on expunction. Expungement refers to the process of sealing arrest and conviction records, or “erasing” them. In North Carolina, it is the process of destruction of a criminal record by court order. North Carolina has, in recent years, enacted several expansive laws that allow citizens to expunge arrests and convictions from their records. North Carolina laws provide that once an arrest or conviction has been expunged, it need not be disclosed, including to potential employers or landlords. For example, assume that Steve was once arrested for a drug possession charge, but it had been expunged. If he fills out an application asking if he has been arrested or convicted, he can legally answer “no”. Expungement for first offenders (21 and younger) of certain toxic vapors/drug paraphernalia charges. Because the ability to get charges expunged has expanded, and the language of each statute differs, it may be possible to get more than one expungement in certain cases. At the Curtis Sluder Law firm, we have examined and researched many individuals records and have been successful with a variety of different expungement methods. The first step in petitioning for an expunction is obtaining a complete copy of your criminal record. Next, we must determine which offenses may be eligible for expunction. This is often based on your age at the time of the offense, the number of years that have passed since an offense, and the disposition (guilty or not guilty) of different charges. Next the correct petitions must be filed- some require affidavits, some do not. These petitions must be filed in a certain order, else you might miss out on the opportunity to expunge certain charges that might have otherwise been eligible. When the petitions are returned, some hearings may need to be scheduled, and in most cases, a follow up meeting with the judge will be necessary. Non Violent misdemeanor or felony- Any age. Juvenile records may be expunged under NCGS 7B-3200. “character” references may be required. A misdemeanor conviction, committed before age 18, or an misdemeanor possession of alcohol committed before the age of 21 may be expunged. There are filing fees for an expunction under this statute, a requirement for affidavits of good behavior, and affidavits confirming good character. Certain offenses, including certain felonies, that were “gang related” and occurred before the petitioners 18th birthday, may be expunged. The petitioner must have an otherwise good record, at least 2 years must have passed since the conviction date, all terms of any criminal sentence must be completed. A filing fee is required, and affidavits of good behavior and character must be provided. A drug charge (can be some felony possession charges) dismissed pursuant to certain diversionary programs can be expunged. The defendant cannot be over age 21 at the time of the offense. A filing fee is required. Affidavits may or may not be required depending on which statute is being used. It may be possible to get “two bites at the apple” for misdemeanor drug charges that occur before age 21. A conviction resulting from a charge occurring before the petitioners 21st birthday may be expunged. Certain misdemeanor and felony possession convictions. At least 12 months must have passed since the date of conviction, a drug treatment program must have been completed (unless waived by the court), and the petitioner must not have had any other felony conviction or drug convictions. A filing fee is required. Dismissed Toxic Vapor Charge- under 22 at time of offense. Charges dismissed under GS90-113.14(a) or (a1) diversionary program. Filing fee required. Affidavits of good character and no new convictions. At least 12 months have passed since date of conviction. Not over 21 at the time of offense. successful completion of drug treatment court. No new convictions. Filing fee required. No additional affidavits. Non-violent felony, date of offense was prior to 18th birthday, no other convictions other than minor traffic, 4 years or more passed since date of conviction, sentence has been fully completed, no previous expunctions under 15A-145. 100 hours of community service performed, defendant has GED or diploma. Filing fees required, affidavits required. Felony must be non-violent, No other felony or Misdemeanor convictions other than traffic violations, at least 15 years have passed since the date of conviction, sentence has been fully completed, no pending cases or outstanding warrants, no previous expunctions. Filing Fee required, affidavits required. No prior convictions for any violent offenses. Prostitution charge was a result of human trafficking, no prior convictions for prostitution and at least 3 years have passed, Petitioner was conditionally discharged pursuant to GS 14-204(b), no other convictions other than traffic convictions, No outstanding warrants or pending charges, no outstanding restitution or civil judgments owed. Filing fee required, affidavits required. The identity of the petitioner was used without permission and this use resulted in a charge(s) against the petitioner. The charge was dismissed, resulted in Not guilty, or the conviction was set aside. No filing fee, no affidavits required. E. No conviction has occurred, at least 3 years have passed since the date of arrest, and no active prosecution is occurring. * As of June 1, 2012, no petition is required, and the DA is ordered to initiate the procedure. No filing fee if a pardon has been granted, and no affidavits are required.